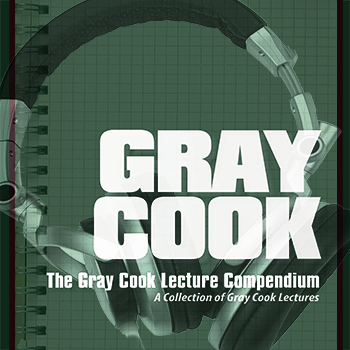 If you’re serious about learning how to assess and improve movement, the Gray Cook Principles bundle is for you. This bundle includes Three Principles You Can Apply to Any Movement, Movement, Applying the FMS Model and Developing a Movement Philosophy. 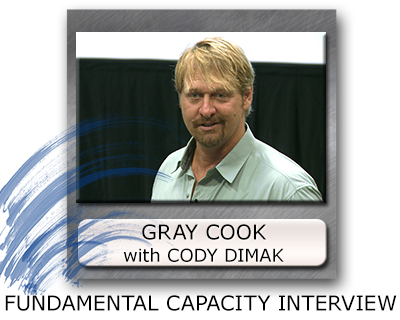 You will walk away with a sound understanding of the principles and approaches used by Gray Cook and the Functional Movement Systems group. This is a collection of all of the FMS-related items. 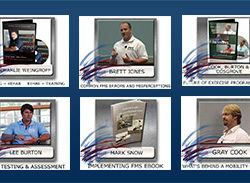 Select any or all of the items below to suit your Functional Movement Screen educational needs. Many coaches and trainers value movement screening, but don't know how to implement the systems into their workplace or group settings. In this lecture, Phil Plisky, the developer of the Y Balance Test, presents some ideas for workplace buy-in, and tells how he brought screening into athletic pre-participation physicals. In this short lecture, Jason Hulme, DC, describes his method of using the Selective Functional Movement Assessment (SFMA) for marketing and medical referrals to a private clinical practice, whether that be a physical therapy or chiropractic clinic. While not exactly a two-parter, this is the second of Jon Torine's lectures on using the Functional Movement Screen with athletes, groups and patients; the first is his The Athlete Continuum.